For over 165 years FEURICH has specialised in traditional piano building while at the same time producing innovations which have inspired piano lovers all over the world. 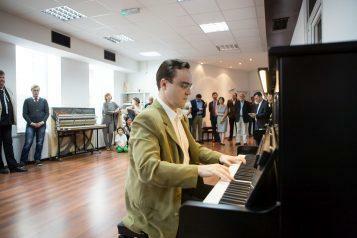 On the 21st of June 2016, the centrepiece of the modern FEURICH’s history was born – the Vienna Piano Production Centre, in the centre of Vienna. 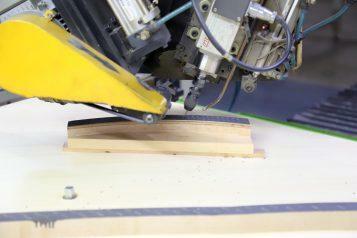 The first FEURICH “Made in Austria” piano was produced. The FEURICH Mod. 123 – Vienna (Link to the product) sets a new benchmark in piano construction and exhibits an extraordinary new action, as well as numerous groundbreaking patents and technical innovations, never before seen on acoustic upright pianos. 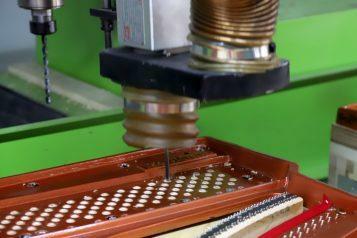 FEURICH revises and updates its production procedures used in our facilities in Ningbo. The result is an improved piano action, enabling a highly touch-responsive pianissimo, a more controlled attack, and a faster repetition. Assembly processes are streamlined, materials optimised, and the new grand models 162 – Dynamic I and 179 – Dynamic II are introduced. The worldwide rights to the FEURICH brand are taken over by the company in Vienna. Of great importance to the new FEURICH team, is to implement and develop further the ideas seen in traditional European piano building methods. 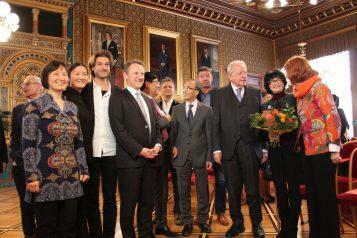 Planning for the new Vienna Production Centre begins (link). In April 2010, the team in Vienna is restructured and the headquarters expanded. Under the name KLAVIERgalerie, it is simultaneously turned into a renowned music centre, where all aspects of the piano can be tested and experimented on. Here all technical developments in the pianos are tested and implemented before being introduced into the FEURICH production processes. Numerous improvements are implemented into existing models, in order to ensure the high quality standards associated with the FEURICH brand, and to further improve upon the exceptional price-quality ratio. In 2003 the company in Vienna began the production of pianos with production partners HAILUN PIANO CO. LTD. in Ningbo, China. 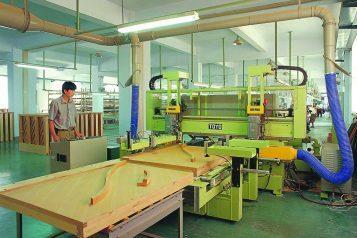 The Hailun factory is regarded as the finest and most sophisticated piano production facility in China. Thanks to their top-of-the-range equipment, they are able to produce the entire range of products needed in piano building, and are in high demand as a supplier to many of the world’s best known piano brands. 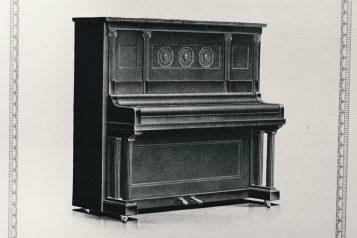 The Model 122 – Universal was the first piano to be produced entirely at the HAILUN production facility in Ningbo. From August 2003 onwards, the model is sold worldwide and in 2007 is honoured with the prestigious Diapason d’or prize in Paris. It is of particular note that many of the excellent grand pianos developed over recent years have already received several prizes for their outstanding quality, and thanks to the careful preparation and the many innovations behind each piano, they easily out-perform many pianos at a much higher price point. FEURICH has provided first-class pianos to the world for over 165 years. 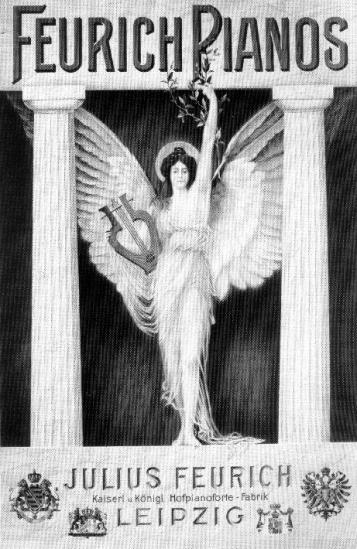 The Euterpe company was sold off, and for this reason a part of FEURICH was sold to Bechstein. In 1993 these shares were bought back. In 1994 the new FEURICH production started, in cooperation with Rönisch and Fritz Steinbauer. In 1999 the entire FEURICH production is moved to a new premesis in Gunzenhausen, Germany. The highly qualified team at FEURICH has always guaranteed consistently quality products. The typical distinct FEURICH sound character remains the same today as it was in the past. Following the forced expropriation of company assets by the GDR, there was only one option––relocating to West Germany. In Mittelfranken a new home and a future for the company was found. A very successful period began. Working together with Euterpe in Langlau, the FEURICH company was able to upscale to new levels. By the end of the 1970s, the factory employed up to 276 employees, producing around 2000 upright pianos and 300 grand pianos annually. The second plant in Leipzig-Leutzsch was founded in 1911. It was here that 360 people made 1,000 upright pianos a year and 600 grand pianos, to be sold throughout the world. By that time, besides Europe, Feurich had established a particularly strong market in Australia, Chile and Brazil. FEURICH at that time was a member of the so-called Group of Five. The five leading manufacturers in Germany joined forces to provide selected pianists with concert grand pianos worldwide. 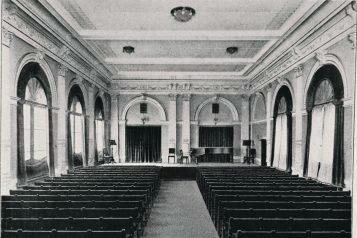 FEURICH had 60 company-owned large concert grand pianos on stages throughout the world at that time. Only after the Second World War did this influential era end, as hardly any German manufacturers could produce a concert grand piano during those hard times. 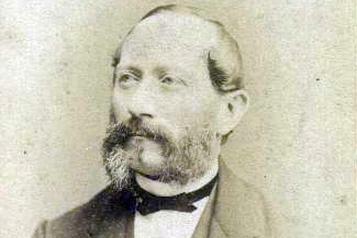 In 1851 in Leipzig Julius Gustav Feurich founded the piano manufacturing company FEURICH at the cost of 1 gold mark. His father and grandfather before him had learned to build specialist pianos and harpsichords. 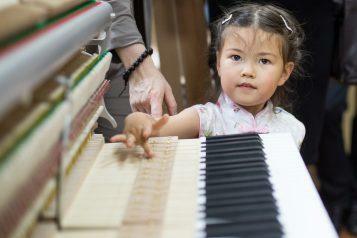 The piano building tradition in the family thus dates back to the 18th century. Julius Gustav Feurich was the first piano manufacturer in Germany to build an upright piano with an under-damper action, years ahead of his rivals.